2 bedroom, 1 bath historic home with charm located in downtown Philipsburg! Rancho Deluxe is an old historic home right in downtown Philipsburg! Our home is a cozy single level house with high ceilings and authentic charm! There is a little updating to do, but don't worry, it wont disappoint! It's just going to be even better by next winter! After a day of exploring/fishing/hunting/skiing/mountain biking, enjoy an evening beer and some live music at the brewery just one block away! Enjoy views of Discovery Ski Area out the back and the hustle bustle of the downtown festivities just outside the front door! Also within a block is the amphitheater and ice rink, shops and Philipsburg Brewery! Drive a short distance to Discovery Ski Area and Georgetown Lake! We have fully furnished and outfitted Rancho Deluxe with everything we can think of to meet your needs! Discovery Ski Area and The Pintlers are visible. We will supply cooking oil, salt and pepper at the minimum. There is an extra leaf wrapped in the closet, feel free to use for more table space. The table seats 6. There is a Wireless, Bluetooth speaker available for your use. There is a front patio and an enclosed back porch with 6 folding camp chairs. There is a ramp on the east side of the house. We had a fantastic long weekend at this house. It is clean, well-stocked and has plenty of room for a family to spread out and relax. Great value. Close to skiing at Discovery, but the best part is being right downtown near all of the restaurants, skating rink, candy store and brewery. We will definitely stay here again on our next visit to Philipsburg. Family friendly place to stay. Way better than staying in a hotel. I was very impressed with the basic needs that were provided, in addition to the comfort of the furnishings. 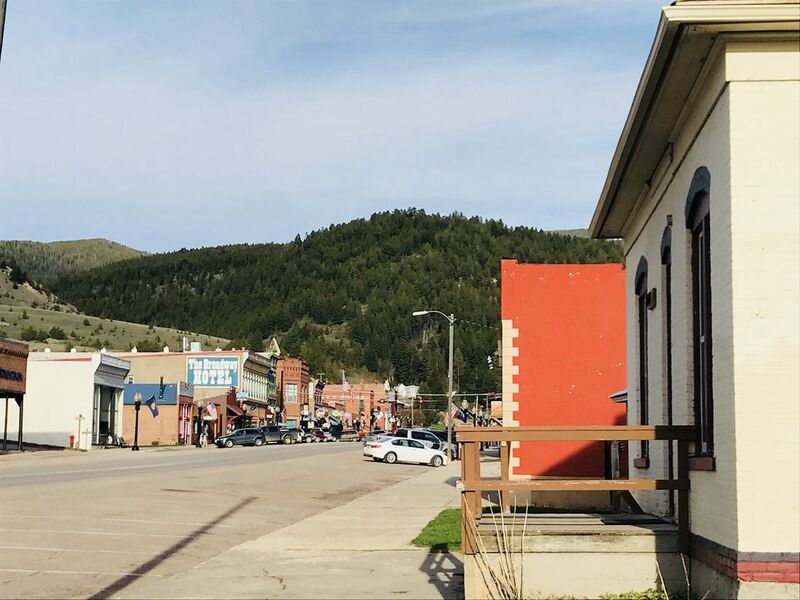 SO easy to step out the front door to head right up the road to a wonderful walk through Montana history! A quick drive to Discovery Ski Basin and Anaconda rounded out our short trip. The Rancho Deluxe was a great place to "come home to" while traveling.